Start taking classes at East Eagle Yoga and other studios! 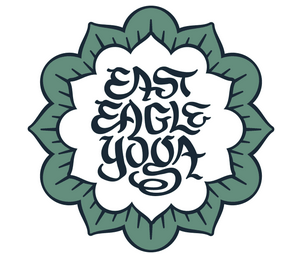 East Eagle Yoga is a Classical Hatha Yoga Center offering classes 7 days a week, 365 day a year in Havertown, PA. If you have a yoga mat, you can bring it. If you don't, there are plenty to borrow at the studio (with no charge). You are welcome to bring water as well, though if you are well hydrated you may not need it during class. Street parking is available on Eagle Road (with meters during operating hours), on side streets (without meters), and in the public parking lot located on Darby Road, just west of the intersection of Darby and Eagle Roads (pay at kiosk during operating hours). Very calming and relaxing. Just what I needed have a tough day at work! Loved the instructor; however, I felt even more tired leaving the class. I expected a wake up yoga to leave me feeling energized and ready for the day, that was not the case. Definitely good for beginners, but I would have liked if the focus wasn’t just on going slow but also the proper positioning in each pose. Sara was great and offered lots of modifications for beginners and more advanced! Only had 1 other person in class. Instructor was nice and offered plenty of options. Props but no mirrors or mat cleaner. Lots of stationary moves with a little flow that was simple for all levels. Street outside is a little loud but carpet gives a nice cushion in addition to my mat. About 60 minutes of yoga and 15 of final rest/meditation at the end. Class was ok. I was 1 of 3 people so had ample space. Props and mats were available but there were no mirrors so couldn't adjust my alignment nor did the instructor help with alignment. No flow just basic yoga pose held for a few breaths. Due to convenient location I might try a different class at the studio, but this one was pretty ho hum. Its a perfect Monday class. Lots of stretching and long holding on the poses. I leave the class feeling refreshed and ready to tackle the rest of the week.